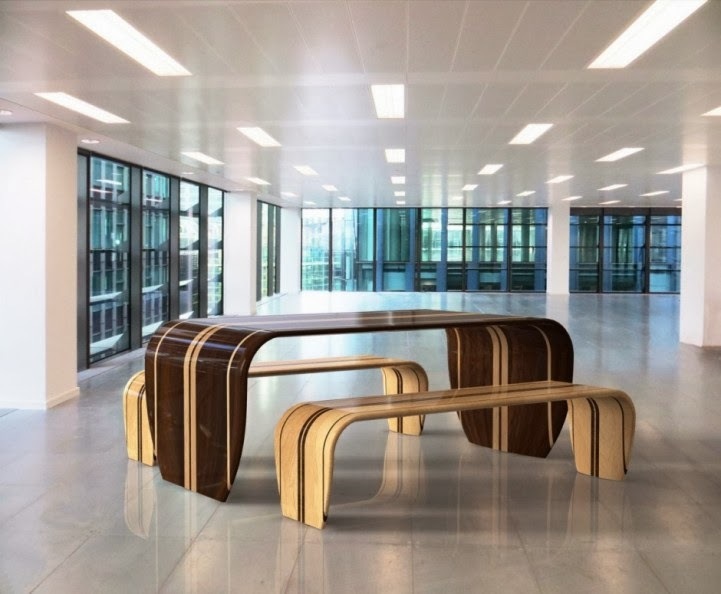 Created by British designer Christopher Duffy, the Surf-ace Table was built using traditional surfboard construction techniques and materials. Each piece of the table and bench set is made from balsa wood and uses a specific veneer from various sources (including Forestry Stewardship Council managed forests) to recreate the traditional waxed Hawaiian boards. It's the perfect table set for anyone looking to bring the beach indoors.